Women don’t have to “grin and bear” the pain that comes with wearing fashionable shoes. The following steps will help you stay comfortable in your stylish shoes. Make sure you are wearing the right size shoe. This is a common mistake women make when choosing their next shoe. Everyone’s foot size changes over the years, and can increase by almost a full size. Before buying your next pair, have your feet measured for width and length. Educate yourself on your personal foot type. Learning if you have a flat or high-arched foot will allow you to purchase a better fitting shoe. The best person to speak with about your foot type is a podiatrist. They are specially trained in all aspects of the foot and ankle. The bigger the heel, the better. Avoid small, thin heels. The smaller the heel, the less surface area the shoe offers to distribute your weight. 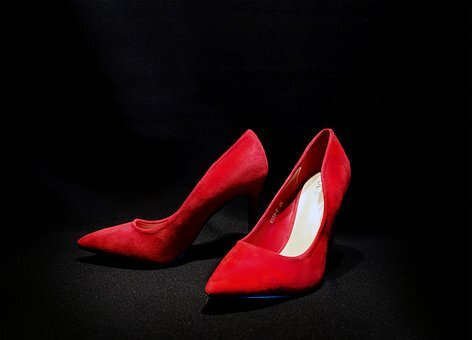 Shoes like stilettos have a greater amount of instability and increase your risk for injury. The thicker the sole, the better. Thin soled shoes almost always lead to foot pain. A thicker sole will provide more comfort as it serves as a better shock absorber. A rubbery material is the best choice. Stretch your feet, ankles, and toes. Take breaks during the day from your shoes. This will allow your feet to air out and take a break. Also, stretching at the end of the day will help your feet feel better the next day. Try a shoe with more material on top. The more material you have covering your foot the more protection the shoe offers. This increased coverage can translate to more support and comfort. If you experience blisters and friction, try a style that covers more of your foot. Try over-the-counter shoe inserts. Many of the over-the-counter inserts are designed for high heels. They are meant to combat soreness, especially at the ball of the foot. Try a pair that has silicone as this is a great material to help relieve soreness.